A Straighter Smile To Bring Out Your Confidence! We all have that one friend whose beautiful infectious smile is the first thing we think of when we describer him or her to others. But wouldn’t it feel amazing if that kind of positivity and confidence was what others think about you, too? If having crooked or misaligned teeth is holding you back from expressing yourself the way you want to, we can help you feel like yourself again with Invisalign! Not only will you be able to eat your favorite sticky or chewy foods, speak to your friends and brush and floss without clunky metal braces giving you away, but you’ll be excited to show off a smile that looks and feels natural and brings out your unique personality! 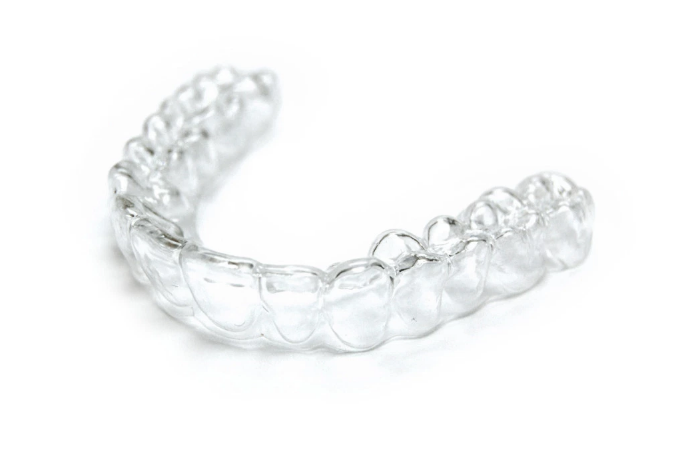 We all know that Invisalign beats out metal braces just in looks alone (after all, you can hardly even see Invisalign! ), but how else do the two compare in straightening your teeth? When we compare braces vs. Invisalign, the difference might have you booking your appointment quickly at (703) 288-1800. Dr. Naik is thrilled to be your local cosmetic dentist when you decide to achieve straighter teeth with us! After a comprehensive dental exam to study the positioning of your teeth, your current dental health and your specific needs, she will develop a personalized treatment plan to help you understand what to expect with Invisalign. During your custom Invisalign treatment, our team will make impressions of your teeth to create a set of trays that craft the ideal progression of your teeth as they shift into place. Every 2-4 weeks, these trays can be replaced for a new set, helping your teeth gradually shift into their ideal alignment. You may feel some discomfort at first as your teeth adjust, but this tension should ease quickly. It is recommended that you wear your Invisalign braces for 20-22 hours a day with the exception of eating and brushing. At the end of your treatment you may be given a retainer to protect your beautiful straight smile. From sporting closed-mouth smiles in our yearbook photos to ogling celebrities’ pearly whites during the Oscars, we all crave a beautiful smile that reflects the confidence we have inside. When it’s time for you to find a way to invisibly straighten your teeth in a fraction of the time of usual braces, our team can help you turn your dream smile into a reality. To make your appointment, call us at (703) 288-1800.